We have to see this evolution of black consciousness side by side with other political doctrines in the country, and other movements of resistance. I think a hell of a lot of this is attributable to the sudden death of political articulation of ideas within black ranks, which came about as a result of the banning of all the political parties. And here I think, the operative feature is that the only people who were left with some sort of organizations from which to operate were white people. Between 1912 and 1960 blacks could speak through one form of organization or another, be it ANC, trade union movements, or later the CP and other political parties. So when they were banned in 1960, effectively all black resistance was killed, and the stage was left open to whites of liberal opinion to make representations for blacks, in a way that had not happened in the past, unaccompanied by black opinion. Fatima Meer would call these the doldrum years; the vacuum in which ‘sufferance’, a passive tactic of non-cooperation was the symbolic mode of resistance on the island. Things would change. You knew that when you heard the haunting lament of ‘Hava Nagila’ against the wind and the rain, the waves crashing into the jetty and the whales winched ashore. The singer was Nash Nainaar, uniquely telling our story. With the advent of separate education the old army barracks on Salisbury Island, in the bay, in Durban, had become the University College for Indians. It segregated Indian students from their African and Coloured counterparts but it also compressed the life of far flung cities, coastal and hinterland towns, plantation villages and farmland dorps. You became friends with people you might never have met otherwise. From the island you could look up and see, rising above the city and the harbour, the Berea and the grand library of the University of Natal. This was now exclusively white territory save for black students completing medical degrees. They could not live in digs on the campus. They were housed in another barracks, the University of Natal Black Section. 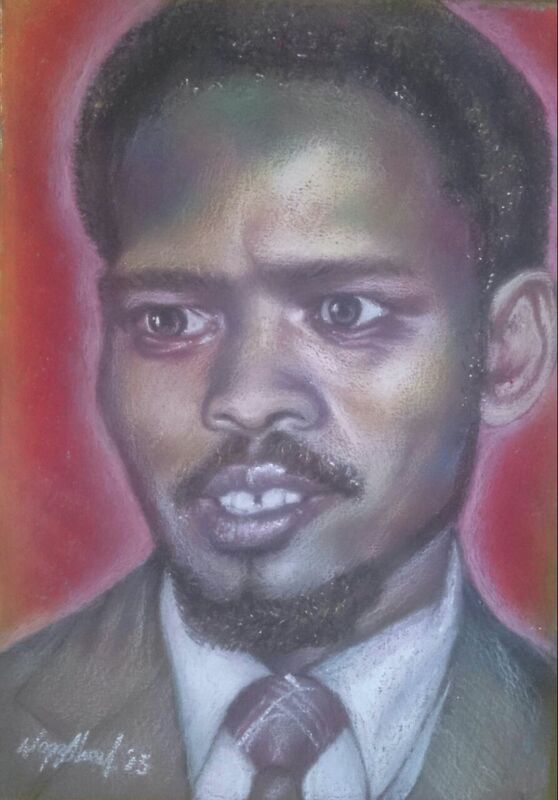 One of the students was Steve Biko. Despite the best efforts of the government and its security forces, the various tribes confined on the island, in Belville and Angoya, Turfloop and Fort Hare would come together, swiftly and potently. In 1972 students transferred to the new University of Durban Westville on the mainland, custom built to showcase apartheid education. Within months the islanders were the vanguard of a black consciousness inspired boycott of segregated universities. A strike by Durban’s dockworkers followed. The silence of the doldrum years had been decisively broken. This footnote in history has been underpinned by the most remarkable of friendships, even as I remain trapped on another island, resisting the same hypocrisy. Dave Naidoo taught me to unpick the cryptic crossword. Almost 50 years later I remember the simple example he used. ‘Dogs in the east.Not a blessing’ (5). I met Nash and Dave in 1969. I was 16 then. In the space of a fortnight I have learned they’ve passed on. So have others and I remember them well. Tomorrow in Tongaat the Indian Ocean will break upon Africa as usual. I will be at Dave’s funeral, somehow. Please complete the story of agitation against the forces that began at Salisbury Island and finished at Westville. please record how the student body broke the resolution of non-participation. I have heard the narrative now you must add this footnote to struggle history in South Africa. Deeply moved by this piece.